Do you find yourself getting confused between and apex shed and pent shed? 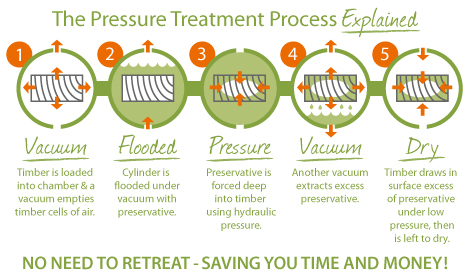 Are you struggling to know the difference between dip treatment and pressure treatment? When it comes to buying a shed it can be rather daunting, especially when faced with some very technical terms. 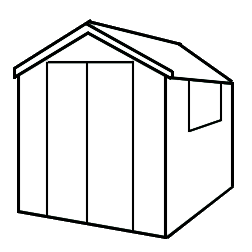 At Buy Sheds Direct we pride ourselves on our knowledge and understanding of shed terminology and appreciate that sometimes it's not easy to make an informed decision without knowing exactly what to look for when buying a new shed. 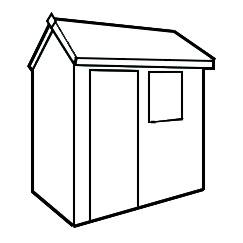 Please take the time to view our 'Garden Sheds Explained' video and hopefully this may help alleviate some of the concerns you may have? The key features of a shed are not always obvious and especially not to a novice. Who knew that sheds had different flooring material, different window materials, that the wood is treated differently and what exactly is 'Z'!? 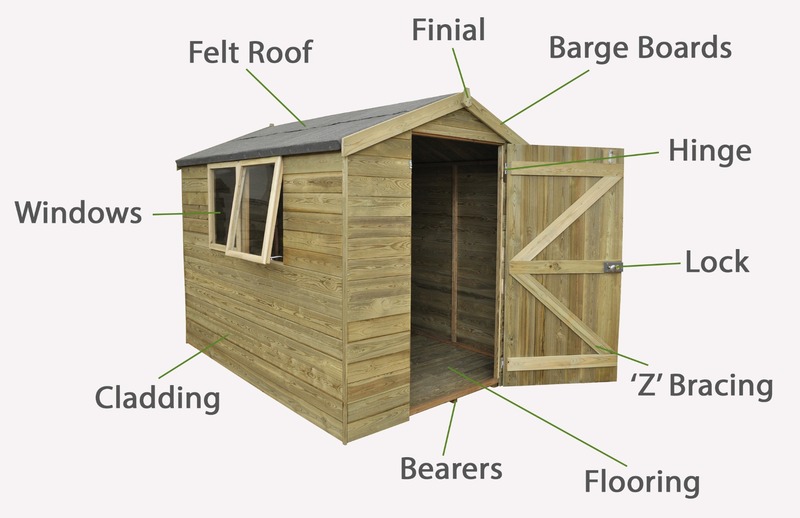 Our helpful graphic does all the talking, these are the features of a shed simplified. 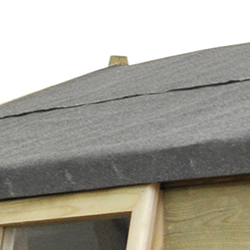 Covers the join of the apex where the barge boards meet and adds a decorative feature to the shed. Used to finish off the roof apex of each shed. These vary in specification and will generally increase in thickness and width with the higher the specification/quality of shed. 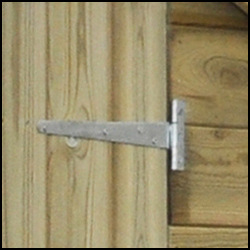 Hinges can be seen as a decorative item to add something unique to your doors but concealed hinges are used on some models, providing added security to your shed as they cannot be accessed from the outside. Gives both horizontal and vertical structural bracing to doors to ensure they do not drop. 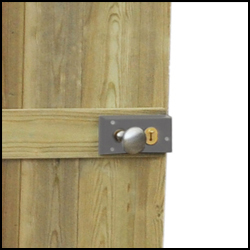 All of our sheds are fitted with various specifications of a hasp and stable lock, this then provides you with the opportunity to add a padlock to keep your contents secure. A poor foundation can set you up for not only moisture problems (which can wreak havoc on your expensive storage equipment) but also invites insects. 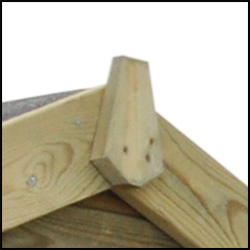 Bearers are pressure treated posts which run in opposite directions to the floor joists making a criss-cross formation providing sturdy support and allowing good air circulation. All of our wooden sheds are clad with the highest quality timber, the type of cladding depends on which construction you choose - Overlap, Shiplap or Tongue & Groove. 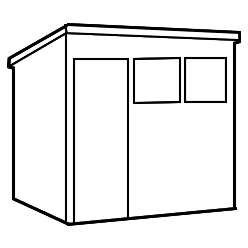 You can choose to have a shed with or without windows depending on your preference. 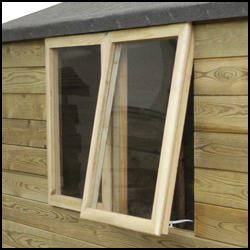 Our shed windows are typically made from either glass, styrene or polycarbonate. A durable, weather-proof roof will protect your storage shed (and its storage contents) for years to come. 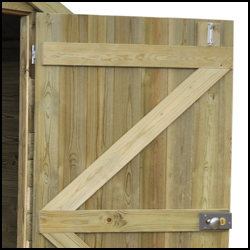 All of our wooden sheds have some form of preservative treatment to prevent the timber from rotting due to adverse weather and fungal decay. Two types of shed treatment are available: dip-treated and pressure treated. 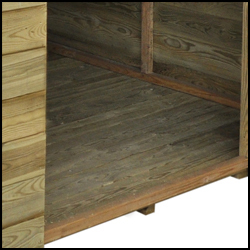 Dip-treated sheds are the most common and they can be recognised by their cedar-red finish. 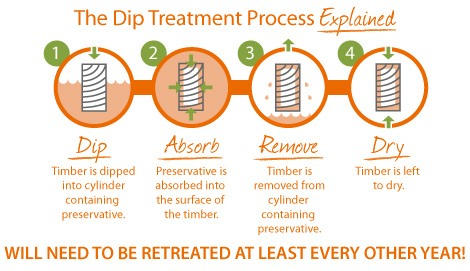 Dip-treating is the quickest and cheapest method of applying preservative to the sheds' timber but it is not as long lasting as pressure treatment and so requires regular applications of brush preservatives to maintain protection. Pressure-treated sheds have the preservative forced deep into the heart of the wood and the grain structure under vacuum pressure. 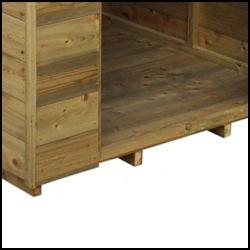 In effect, the preservative becomes an integral part of the timber giving it a long life and effective protection against rot. Anti-rot guarantees with pressure treated sheds can be as much as 15 years. Apart from longevity, the biggest benefit of a pressure-treated shed is that you never need to apply preservative throughout its lifetime. A more subjective consideration is that the pressure treatment leaves the shed with a more natural timber colour which you may prefer. Overlap sheds are the easiest and cheapest of the three construction types to manufacture and so they are relatively less expensive. 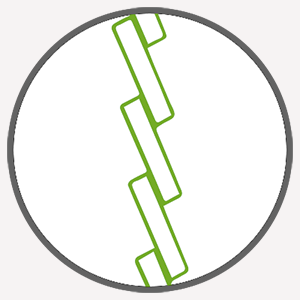 Basically, 8mm rough-sawn timber boards are nailed to the vertical bearers of the shed and overlapped. The overlapping of the boards allows the timber to shrink and expand easily - which it naturally does throughout the year – but without warping. 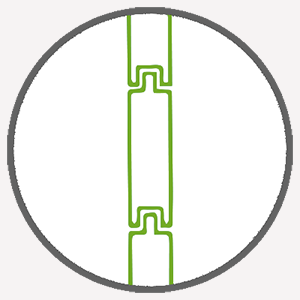 The overlapping also allows the rain to run away but overlap boards do not form a close seal so they are more prone to moisture ingress and draughts. Not a problem if the shed is to be used for garden storage but if you intend to spend a lot of time in there, say, for a hobby or leisure activity, you should consider a tongue & groove or overlap-matched shed. 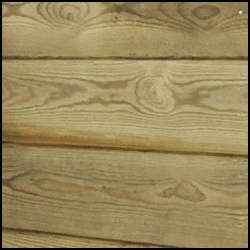 Shiplap cladding has the appearance of a tongue and groove shed along with many other similarities including strength. 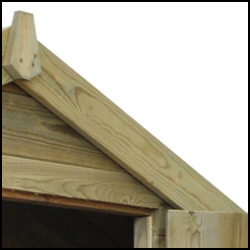 A recess is cut into the edge of the timber boards so that the boards can overlap very slightly, this creates a relatively tight seal which will protect your shed from the elements as well as allowing the rain water to run off effectively. This cladding is also secure and durable. Larger sheds that are more likely to be used as garden workshops are made using a tongue & groove construction and with thicker, smooth-planed 12mm boards. The interlocking of the thicker boards leaves no gaps and means that the shed is better protected from draughts and rain - essential if you spend many hours in there. Also because 12mm boards are used, there is less movement in the wood due to seasonal variations in temperature and humidity. With an apex shed, the roof is in two wooden sections which meet at the highest point to create an upturned ‘V’ shape. Unlike a pent roof, the maximum height of an apex roof runs centrally from the front to the back. The height of the eaves is designed to allow for generous storage at the sides while allowing for optimum standing height in the centre so that you can work comfortably. With a reverse apex shed it is same design as an apex shed but it is turned around. The 'V' Shape slopes down to the front and back of the shed whereas a standard apex shed will slope either side. The maximum height runs from side to side rather from the front to the back, perfect for allowing more headroom along the width of the shed. With a pent shed the roof is formed using a single sheet of wood that slopes from the front of the building to the back at an angle of about 15 degrees. The slope is optimal to provide sufficient height for the door at the front and to ensure rain runs off the back of the shed. A pent roof is ideal for garden sheds that are is to be situated against a fence or wall, or is going to be tucked under overhanging branches. Obviously, as the roof slopes from the front to back, the maximum height is at the front of the shed – this is useful to bear in mind when planning the layout of your shelving and your internal work space. There are a few key measurements which you should be considered to prevent ending up with the wrong size shed for your garden. This diagram to the right shows you the 5 key measurements you should always look at when choosing your shed or garden building and what they mean. We size our sheds in both metric and imperial measurements. 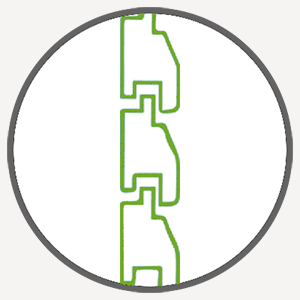 All of the technical details regarding each product is listed within the 'Detailed Specification' tab on each product page. Here you will find all the in-depth measurements of the shed and materials used. If you ever need any extra guidance regarding sizing, our team of experts are always available to help and our Buying Guide has all you need to know about choosing the right shed.